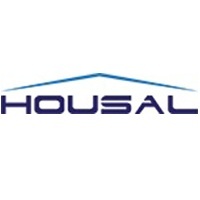 Home > Places > Philippines > Metro Manila > Manila > Real Estate Agent > Housal Inc.
Housal Inc. – an online platform for real estate, addresses the unfulfilled needs by harnessing technology and bringing all-related solutions under one roof. For buyers, tenants, sellers, brokers, agencies or developers, it encompasses all their answers from property matching, listings, management, analytics and even more. This advanced online sales tool built by a team of Real estate, Tech and Management professionals, is a unique solution with a purpose to meet the persistently evolving challenges of Real estate sector now and further. Housal Inc. will not only streamline and integrate the process of buying, selling, and renting out properties, but it will also assist in greater collaboration; thereby, providing better value for all related stakeholders and clients. Housal Inc. is the evolution of the real estate process – empowering the real estate industry for the future.